Cosmetic Acupuncture at Village Wellness Featured in The Mainline Times. Note: When booking online we highly recommend going ahead and scheduling the initial session PLUS 10 follow-up sessions. This way your favorite appointment time is secure. You can always cancel at least 24 hours before the appointment. Note: We keep our treatments strictly confidential. Many of our patients prefer to keep this kind of treatment a secret from their friends and loved ones, and we honor this to the highest degree. What is unique about Cosmetic Acupuncture at Village Wellness? 2 words: Holistic Beauty. 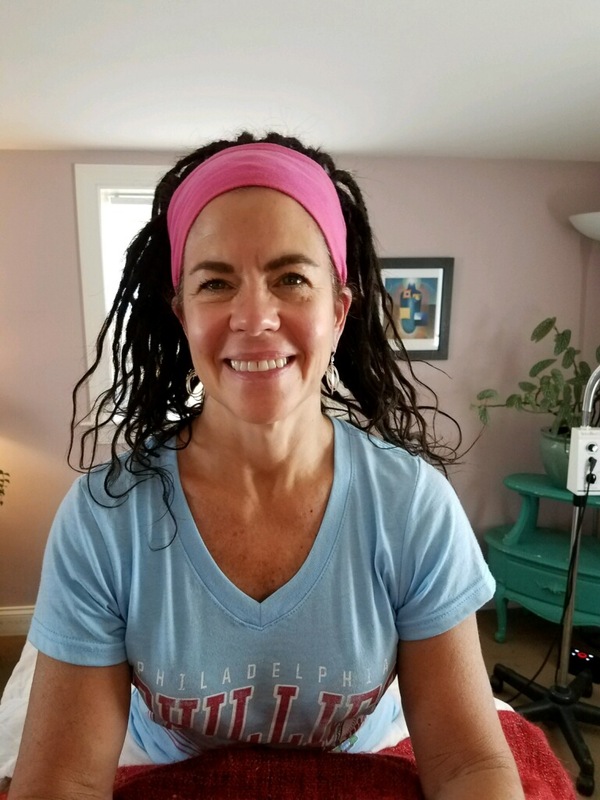 Our holistic approach means that you will ALWAYS receive a full mind/emotion/body/spirit balancing treatment along with the cosmetic acupuncture. Our goal is to have you feel beautiful from the inside out. Beautiful mind, beautiful heart & beautiful body. 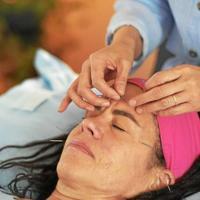 What is a Holistic Beauty Cosmetic Acupuncture session like? During your initial 1.5 hour session, we do an in-depth interview and exam. Here you will have an opportunity to talk about your goals and I will come up with an individualized treatment plan for you. We will also do our first treatment which involves several tiny needles that are inserted into the skin, this signals the body to send fresh blood and energy to the area. We are using acupuncture to stimulate the body's natural process of promoting collagen and elastin production in the face. It is also exceptional at helping lift and tighten jowls and sagging skin. During your sessions you will also receive nutritional guidance to support and enhance beauty. Initially you are seen weekly (or even twice per week) for at least 10 sessions. Often, at about the 6th treatment you can start seeing visible changes in your face. The face has a glow to it and skin begins to tighten. At 10 treatments wrinkles and fine lines start filling in. The face also has a noticeable lift. Some patients will find they want more treatments, however, once this initial series is complete we begin maintenance sessions. Maintenance session are done monthly or every other month depending on your particular needs & goals. Patients have found results can last from 3 to 5 years or longer with monthly maintenance. What can Holistic Beauty Cosmetic Acupuncture help with? Reduces fine lines and wrinkles… they may even disappear. "Level” deeper lines. These deeper lines may never fully go away but they can “fill up” and look softer and less harsh. Minimize the beginnings of jowls. This may not make the waddle under the neck go away but it can definitely define the jawline in women who are just starting to see the sag. Help improve acne and rosacea. Help to soften the skin and make it more vibrant. Help the cheeks get smoother. Bring more consistency to your skin tone.- if your skin tends to have lots of red in it, it may be reduced considerably. Help erase those “little hard spots on my face”. Help Wrinkles. Wrinkles on the neckline (the decollete) have disappeared- the vertical lines some women get as a result of sun damage. Hot flashes and or night sweats went away. Eyes looked brighter, to an acupuncturist, this means that the spirit is more balanced. Mild depression has been reversed. Many patients report that their digestion has improved and this directly affects what is going on in the skin and on the face. Patients report having more energy.